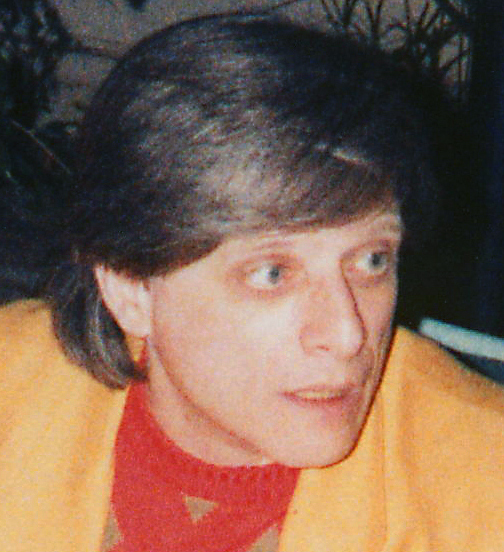 Award-winning author Harlan Ellison has died. He was 84. Wikipedia biography here. 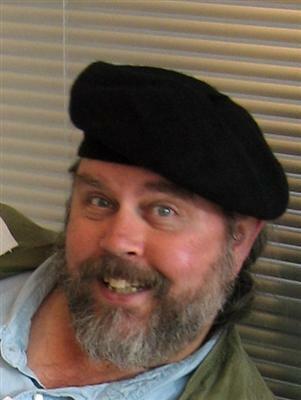 Ellison won the Prometheus Hall of Fame Award in 2005 for his short story, “‘Repent, Harlequin!’ Said the Ticktockman.” He made a gracious video to thank us. The Los Angeles Times has posted a long obit. And John Scalzi wrote a nice piece for the same paper. 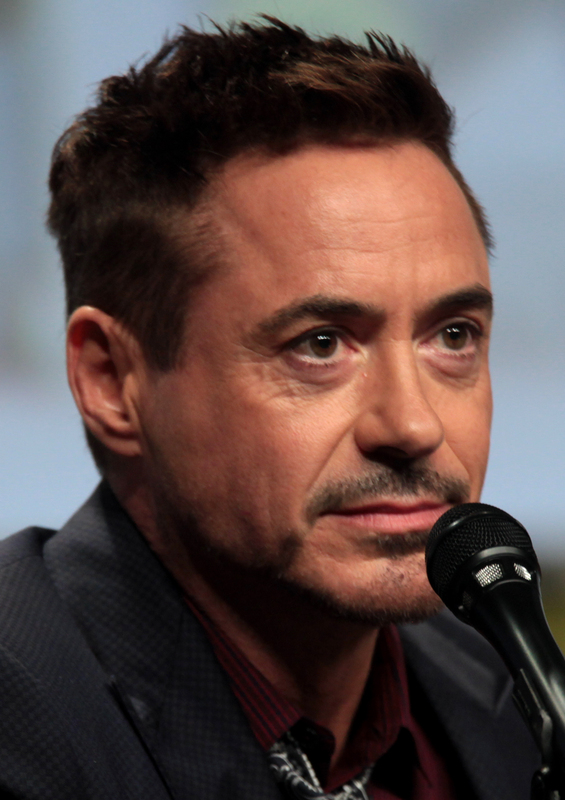 Robert Downey Jr., who portrays Tony Stark/Iron Man, at San Diego Comic Con International in 2014. (Creative Commons photo by Gage Skidmore). The films that make up the Marvel Cinematic Universe are an unusual, and possibly unique artistic project: a cinematic series set in a shared fictional universe, one that develops from film to film, with later films referring to earlier. Of course there have been trilogies and other series of films, but this design not only is at a greater length, but has multiple branches following different groups of characters. There’s a main storyline that began with The Avengers and progressed through Captain America: The Winter Soldier, The Avengers: Age of Ultron, Captain America: Civil War, and The Black Panther, but other films have told different types of stories: a mock epic in Guardians of the Galaxy, a caper film in Ant-Man, and a story of supernatural initiation in Doctor Strange, for example. The latest film, The Avengers: The Infinity War, attempts to bring these all together into a climactic story—or at least, the first half of one; it ends with a cliffhanger. I went into the theater not sure this film would be worth seeing, and I can see some flaws in it, largely reflecting the vast differences in tone among the earlier films; but the overall result was impressive and moving. And I think this largely reflects the central role of theme in the script. An immediately evident theme of Infinity War is environmentalism: Its antagonist, Thanos, is motivated by a fear of overpopulation, for which he envisions consequences much like those Paul Ehrlich warned against—and apparently, in this world, those consequences actually came about. Now, there are valid environmental concerns that it’s prudent to address—and there have been libertarian proposals to address them at least since R.H. Coase’s 1960 paper “The Problem of Social Cost.” But some versions of environmentalism treat it as a new justification for economic central planning, despite the dismal environmental record of planned economies; and a few more radical versions call for things such as the end of economic growth or the reversal of past growth, for an end to human reproduction, or even for outright human extinction. Thanos’s draconian solution to population growth puts him in this last small group of green fanatics. Of course, Rand’s concept of “sacrifice” is narrow: Her characters are prepared to risk their lives to save a factory, to rescue a benefactor, or to serve justice, and her quintessential self-interested hero is ready to commit suicide rather than see the woman he loves tortured to gain his cooperation, acts that most people would call “sacrifices.” And this sort of choice is seen all through Infinity War. In fact, the entire film seems to be about the theme of sacrifice: On one hand, Thanos’s sacrifice of others’ lives, extolled by his henchman Ebony Maw as “the privilege . . . of being saved by the Great Titan” (but a privilege Thanos seemingly doesn’t plan to share, even when his work is done), is coerced sacrifice, imposed by force on terrified victims. On the other, Thanos’s adversaries voluntarily give things up, or endure suffering, to attain something they value: Thor goes through an ordeal to make a new weapon, Groot gives part of his body to provide it with a handle, the Black Panther leads his entire kingdom into a battle against Thanos’s forces that may destroy it, and the Vision—who has consistently advocated “the needs of the many”—urges the destruction of the Mind Stone that animates him to keep it out of Thanos’s hands. Even Thanos himself has to make a sacrifice, to give up what he loves, as the price of his gigantic quest. These and other scenes all reflect that common theme, which gives unity to the entire film. And at the same time they cumulatively show the difference between paying a high price for something you value, and being made use of to serve someone else’s ends, even if those ends are presented as a noble purpose. All of this makes Infinity War not simply an action story, or melodrama, but a drama, whose characters have to make hard choices, choices that reveal what is truly important to them. The Marvel Cinematic Universe has been amazingly successful. I think this latest film helps show why: Their films aren’t just action and violence and special effects, impressive though those are. They’re about something. When one of their characters goes into combat, the audience almost always knows what they’re fighting for and who they are. And this has a big payoff in audience involvement, one that lets them bring together a huge cast of characters and have the audience already prepared to care about what happens to them, and how they face this new ordeal.